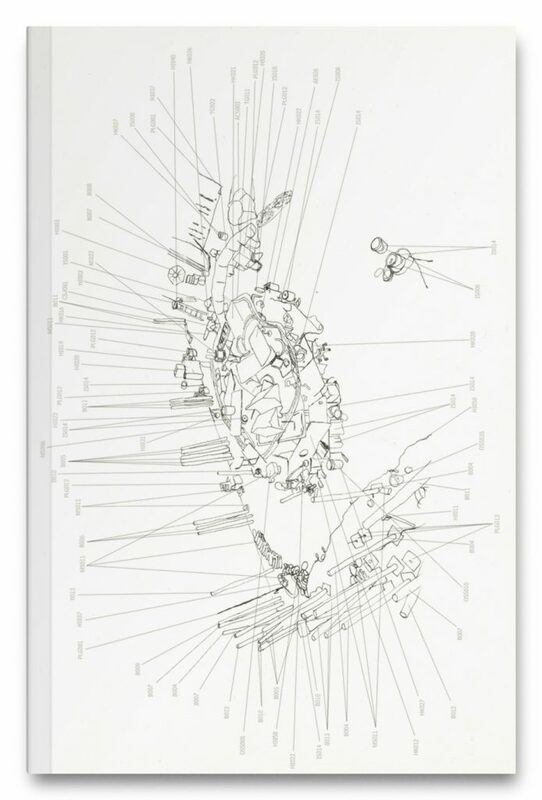 This book is conceptualized as an owner’s manual to a build-it-yourself version of Jason Rhoades’s The Creation Myth (1998), complete with an inventory of objects that make up this monumental sculpture. Included are illustrations that serve as assembly instructions and a collection of prose and poetry written to extend the logic and grammar of the sculpture for ridiculously expansive results. The material is written by Penn students as the culmination of a seminar produced in collaboration between ICA and the Center for Programs in Contemporary Writing at the University of Pennsylvania. The course was taught by Professor Kenneth Goldsmith and Liz Park, Whitney-Lauder Curatorial Fellow, who contribute texts.